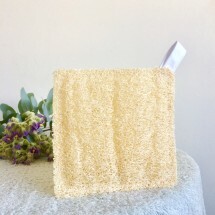 Luffa scrub pad made out of a unique variety of luffa with a softness and other features that makes them suitable even for very sensitive and delicate skin and skin with eczema. 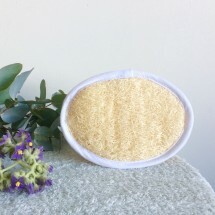 Perfect for facial exfoliation at home once soaked in warm water and for treating tattooed skin or dry areas of your body. 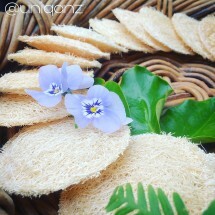 In this set it comes with an exclusive high quality NZ made soap (by The Soap Factory Ltd.) that will help to make the exfoliation smoother and more pleasant thanks to the lovely bouquet fragrance with soft powdery notes the soap has. 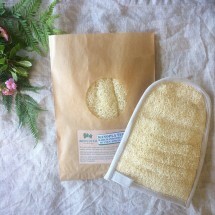 It is free of palm oil and enriched with nourishing oils like rapeseed, sunflower, coconut, macadamia seed, cacao seed, etc. 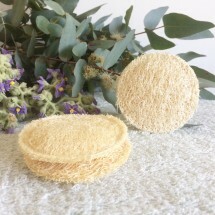 The pad has 100% luffa fibre on both sides plus 100% biodegradable thread. This means the whole pad is compostable. Rinse thoroughly in clear water and let it dry after use and you will see it will be completely dry in few hours not allowing any bacteria or mould to grow on it. Therapeutic properties thanks to the unique treatment in natural sulphurous geothermal hot springs (which, in addition, makes the luffa mould resistant). Natural scrub providing a gentle exfoliation and immediate hydration thanks to the high natural content of Cucurbitacin C.
This product is dispatched to you by UNIQA NZ. Would you like to change delivery destination? For more than 3 UNIQANZ products please check with us especial shipping combined cost. Send us an email to uniqanz@luffa-esponjas.com or ring us on 0210543727. Please choose carefully as unfortunately this product is not eligible for our No Worries Return due to It is for personal hygiene. We are confident you will love it, however if you don't like it please let us know. Please refer to our Returns and Refunds Policy for further information. Luffas are grown naturally in the soil. 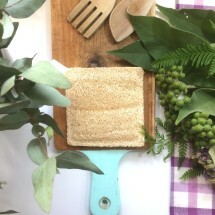 Synthetic sponges are manufactured in industrial conditions by machinery that consume a lot of every, usually from non-renewable sources. Minimal packaging made out of recycled and recyclable paper and using only vegan eco-friendly ink. 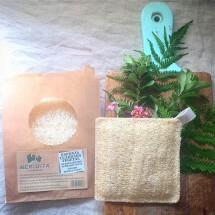 The soap is hand wrapped in thin acid free FSC-certified paper (from sustainable sources) and washi tape so the whole wrapping is biodegradable. The vines where the luffa grow are made out of local timber from sustainable sources and respecting the surrounding rural landscape. 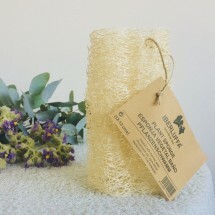 100 % biodegradable and compostable. 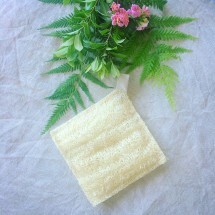 The Palm Oil Free Bouquet Soap included in this set is NZ Made by The Soap Factory Ltd. 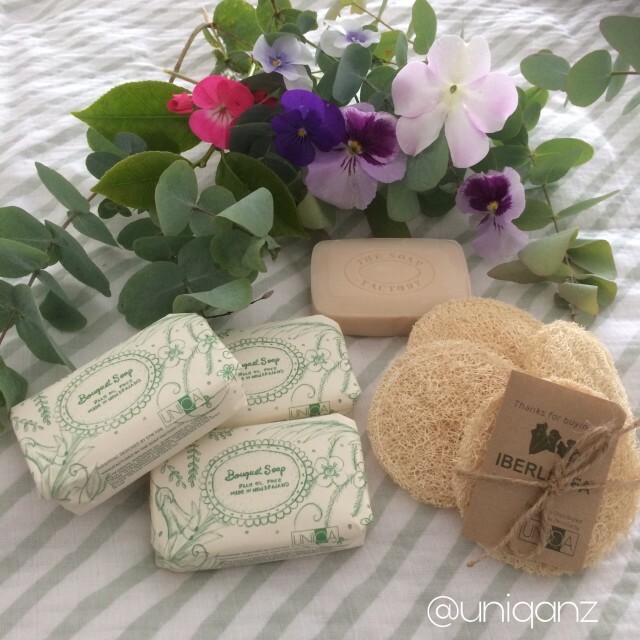 The soap wrapping is an exclusive design by UNIQANZ printed in NZ.